Set goals that are specific and measurable. Instead of saying you want to have enough money to retire comfortably, think about how much money you’ll need. Maybe your specific goal will be to save $500,000 by the time you’re 65. Your goals should also be realistic and based on your current financial situation. Think about how much you can afford to save toward your goals each month. Based on how much you can afford to save, you may have to decide which goals are most important to you. How soon do you want to reach each goal? How much money will it take to reach each goal? How much can you afford to save toward each goal? What will you gain or lose by putting one goal first? What choices will help you enjoy a better quality of life today? In the future? After setting your goals, you may find that some of them conflict. For example, paying for a child’s braces may take money from their university savings. Taking care of aging parents could reduce saving for your own retirement. If you have to choose between 2 or more goals, ask yourself which goal causes the least harm if you don’t reach it. Sometimes you have to set one goal aside for a while to reach a more important goal. After setting your goals, you may find that you have goals that conflict. For example, many parents find themselves choosing between saving for their own retirement and saving for their children’s education. If you’re in this situation, ask yourself: How much harm would it cause if you didn’t have enough to live on when you retire? If you couldn’t help pay for your children’s education? There’s no easy answer. Only you can decide which solution is likely to cause the least harm. For example, you might decide that you need to save more for retirement, and that you’ll help your kids arrange student loans when the time comes. Or, you might decide that saving for their education is your priority, and you’ll retire later than you originally planned. You may also choose to save for both your retirement and your children’s education by putting away a little less for each goal. Your priorities will change over time, so review your top 3 goals at least once a year and adjust them if you need to. Managing Big Financial Planning Goals – How Do You Eat An Elephant? The point of the statement is the recognition that if you try to tackle an enormous goal all at once, it can seem overwhelming, to the point of feeling so unachievable it’s not even worth trying. Instead, if you want to be prepared to succeed in a monumental sized goal, the key is to break it down to smaller, bite-sized goals that are feasible and achievable. Pay off your credit card debt within the next 6 months. Pay off your mortgage faster by paying down an extra $5,000 each year. Save $20,000 for an emergency fund within the next 2 years. Save $25,000 for a down payment on a house over the next 3 years. Save $40,000 for your child’s education by the time she turns 18. Save $5,000 for a vacation next year. 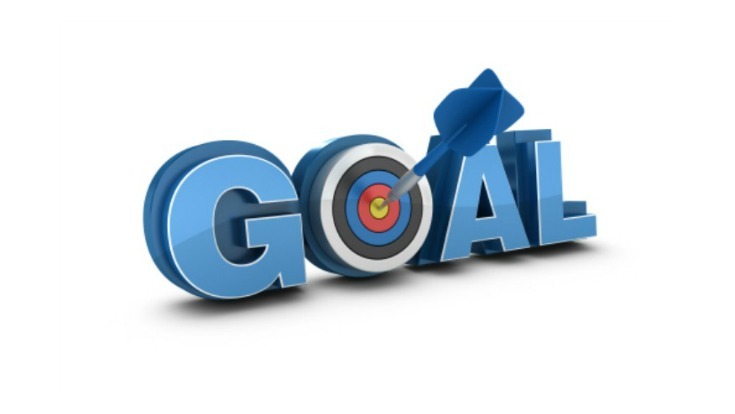 If you would like a consultation about any of the three broad stages of goals-based investing: setting personal goals; implementing a strategy to achieve those goals; and the monitoring process then please contact us at the office! “The people who make a difference in your life are not the ones with the most credentials, the most money or the most awards. They are the ones who care”.